When Richard Brian started Liberty Furniture in 1992, his vision was a company that would thrive on the values of hard work, fairness and integrity. What began as seven people in a small section of a warehouse in west Atlanta is now widely recognized as one of the premiere leaders in manufacturing and delivering quality furniture at exceptional value. Despite its success, Liberty Furniture has remained a strong, family-oriented business that has never compromised its standards of dedicated customer service, relentless pursuit of quality, and devotion to enriching the lives of their employees, their customers, and the community. 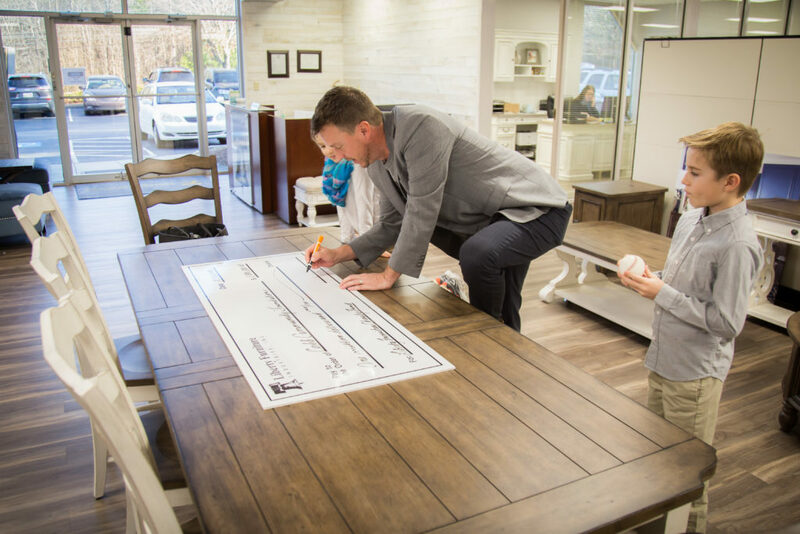 Liberty CEO, Jason Brian signing $1 million check with children Allie and Jack looking on. Like the other twelve independent community foundations in Georgia, Cobb Community Foundation (“CCF”) is a grant-making public charity that provides a way for individuals, families, businesses and organizations to pool their resources into various community funds to help address community needs. 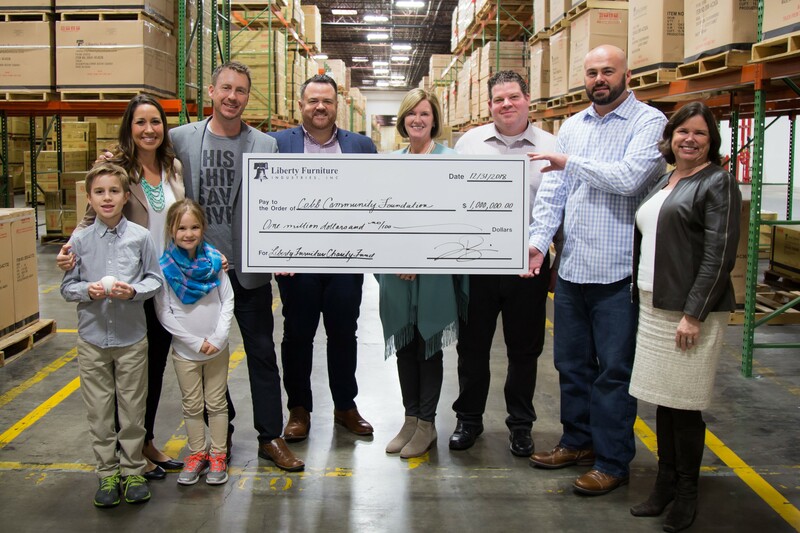 What appealed most to Brian, however, was how CCF could also help Liberty create its own charitable fund. Want to establish your own charitable fund? Reach out to Cobb Community Foundation at 770-859-2366 or via email at CCFTeam@CobbFoundation.org.